LED Canada, Canada’s largest national wholesaler and manufacture of LED solutions announces distributor agreement with Homegrown Hydroponics for it's Growthstar™ horticultural lights. 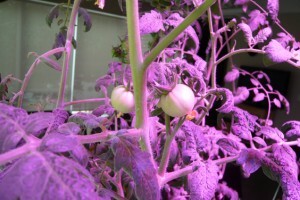 “Customer feedback is very positive, LEDs deliver on their promise and LED Canada has stood behind its products with solid warranty and product support” said Alex Dymon, Manager Homegrown Hydroponics. GrowthStar "PowerBloom Plus" is a light spectrum mix that has been very carefully configured for heavy flowering and fruiting growth cycles, it comes in several models and is a proven producer in horticultural operations of varying types. "VegMax" blend, on the other hand, is completely different in is combination and selection of relevant spectrum. Homegrown Hydroponics is the first hydroponics wholesaler in Ontario and one of the largest horticultural suppliers in Canada, with the largest network of retails stores in the country. Homegrown is known for its quality products and long standing wholesale and retail presence. 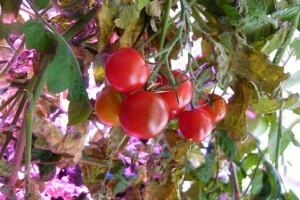 LED Canada commercial grade horticultural lights are already well proven in research facilities, commercial greenhouse and farm applications across North America. This partnership allows LED Canada to bring this level of professional quality and performance to the retail consumer, with the local support and professional services of an expert in the horticultural industry to back the product up. “Customer feedback is very positive, LEDs deliver on their promise and LED Canada has stood behind its products with solid warranty and product support”, said Alex Dymon, Manager of Homegrown Hydroponics. 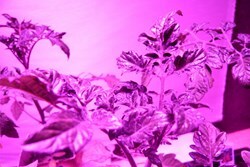 LED Canada’s Growthstar™ products are available at all Homegrown Hydroponics retail locations and on the web at http://www.hydroponics.com. This new partnership extends LED Canada position as a provider of quality innovative LED solutions, “making the products available at retail locations together with a partner as well established as Homegrown Hydroponics helps customers get the support and advice needed to make LED solutions a success”, said Rob Huston, LED Canada’s Senior Technical Solution Architect.